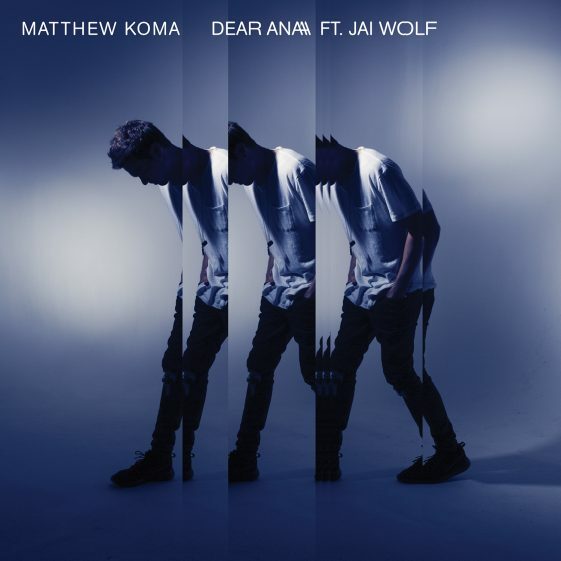 (New York – April 21, 2017) On the heels of his last two singles “Kisses Back” and “Hard To Love,” singer-songwriter and producer Matthew Koma today returns with the release of “Dear Ana” featuring Jai Wolf, a deeply personal track. Jai Wolf is performing at this year’s Coachella Festival. Click HERE to listen now to “Dear Ana” Ft. Jai Wolf. “Dear Ana” is a slow-rolling and ardent ballad. The track showcases a tasteful mixture of Koma and Jai Wolf’s style in a seamless and fluid manner; effervescent synths, soaring melodies, and a beautiful topline. Matthew wrote this song last year during the early stages of his recovery from an eating disorder, and is an honest portrayal of his struggle and emotions during the recovery process. Koma went on to become the mastermind behind various chart topping hits by DJ Mag #1 DJ Hardwell on his anthemic “Dare You,” Tiesto’s “Wasted,” Zedd’s “Find You,” and Showtek’s “Cannonball (Earthquake),” which landed at #1 on UK Dance charts. The genre-bending artist has also featured and co-written with Giorgio Moroder, The Knocks, Steve Aoki, Afrojack, RAC, Fedde Le Grande, Audien, Dimitri Vegas & Like Mike, and more. As a writer, producer, and remixer, Matt has also worked with a wide range of artists including Lady Gaga, Britney Spears, Kelly Clarkson, Shania Twain and his greatest influence, Bruce Springsteen. Over the last year, Koma has spent his time fully transforming into a solo artist, traveling the world writing emotionally charged music, while playing the world’s largest festivals including Coachella, Ultra Music Festival, Lollapalooza South America, and Life in Color. Matthew’s debut album has him co-producing with some of the most exciting next wave electronic artists including Jai Wolf, Grey, Flux Pavilion, and Louis The Child.